Known for its expansive parks and epic boulevards, Spain's capital has so much to offer tourists. 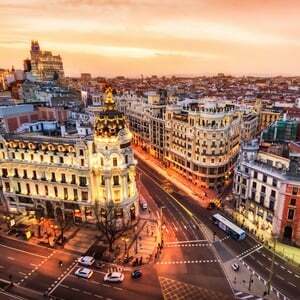 Main attractions include: Museo del Prado, El Rastro market and El Retiro park. But what about going to those places the locals frequent. Eating where they eat, shopping where they shop and chilling where they chill? Yes, we want some insider perspective. Blogger, Marcela de la Pena shows us around, sharing all the hidden gems, cultural highlights and delicious treats on offer in this magnificent city.